The iron ore in the outer disk has risen. 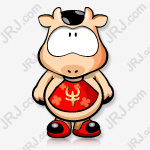 Is the black pig year “opening the door”? During the Chinese New Year holiday, the tailings dam breakout event in Brazil's Vale was further fermented. On February 4, Vale officially said it decided to shut down the Laranjeiras dam in the Brucutu mine. The annual iron ore production in the affected area is about 30 million tons. On February 5, Vale once again announced that it will suspend the Vargem Grande project, which produces about 13 million tons of iron ore per year, but this is part of the 40 million tons reduction plan, and Vale clearly pointed out that the company will improve other mines. The output is used to make up for this part of the production cut. On the one hand, on the one hand, affected by factors such as weak global stock market performance and Sino-US trade negotiations, investors’ risk aversion has warmed up; on the other hand, Fed’s dovish and non-agricultural data, January manufacturing PMI and other economic data exceeded expectations. The US dollar index remained strong and the international gold price was under pressure. Overall, precious metal prices have remained oscillating during the Spring Festival. The international gold price showed a moderate correction, and London gold fell by 0.10% during the domestic market. COMEX gold and silver also fell slightly. On Friday, COMEX gold futures closed up 0.3% at $1318.2 per ounce, down 0.29% on the week; COMEX silver futures closed up 0.71% at $15.83 per ounce. The outer plate of non-ferrous metals rose and fell during the Spring Festival, the copper rose nearly 1%, the zinc zinc fell more than 2%, and the nickel also showed a slight decline. Tang Yufeng, a researcher at Jinrui Futures, believes that there has been no major change in the fundamentals of copper since this year. In February, the copper market will still be in the low season of consumption. There is basically no expected difference in the supply side, and the seasonal accumulation will be weaker than in previous years. In the second quarter, domestic and foreign copper smelting faces a large maintenance level, and low inventory will bring the following support to copper prices. It is worth mentioning that the China-US high-level economic and trade consultation will be held in Beijing from February 14th to 15th. In this regard, Xu Wenyu, director of macro strategy research at Huatai Futures, said that this positive signal is expected to improve market risk appetite and ease the pessimism on the demand side for the market in the down cycle.